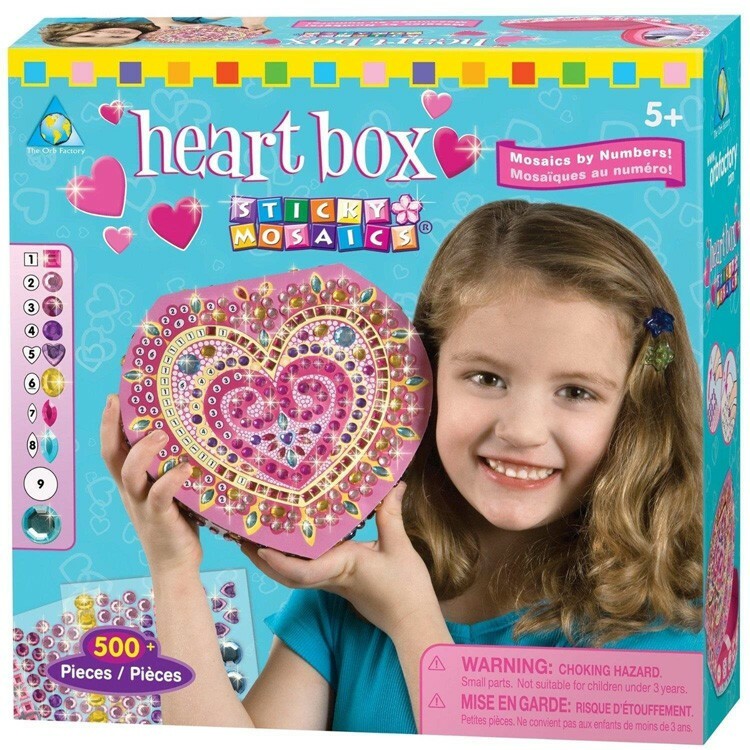 Made by the Orb Factory, Sticky Mosaics Heart Box craft kit gives you a chance to adorn a jewelry box with sticky jewel pieces! Let's have fun decorating a pretty Heart Box Sticky Mosaics Craft Kit! 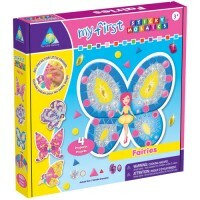 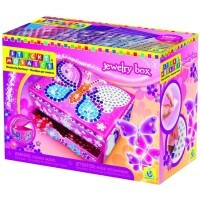 Made by the Orb Factory, it gives you a chance to adorn a jewelry box with sticky jewel pieces! 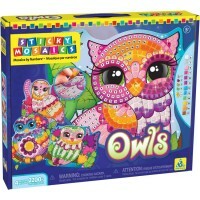 Just match the sticky shape to its number and you're on your way. 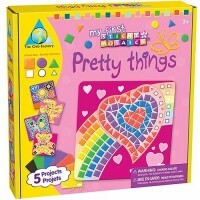 With more than 500 colorful pieces, the mosaic craft kit will let your heart shaped jewelry box be covered in no time! 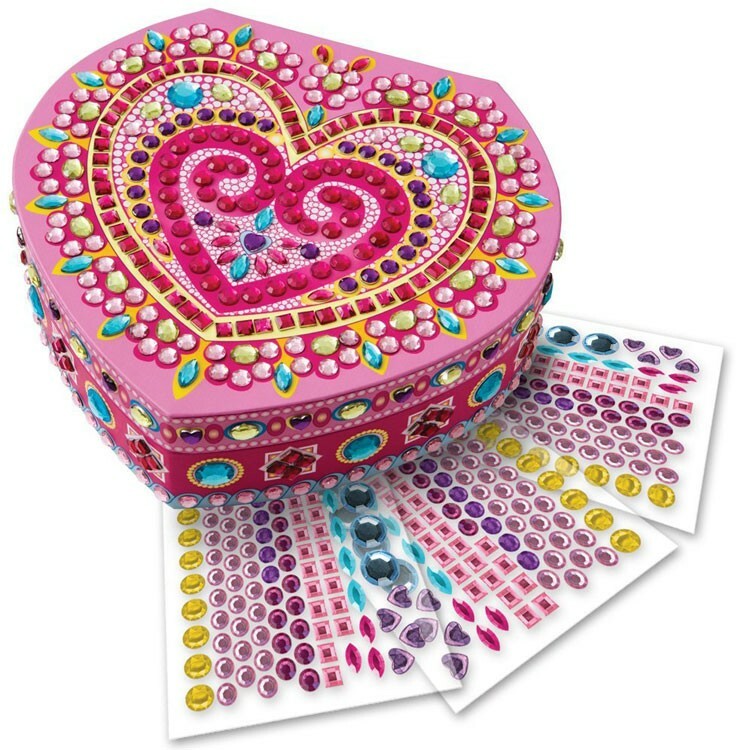 Sticky Mosaics Heart Box is a great place to store all your pretty things and valuables; the outside sparkles and the inside has a mirror! 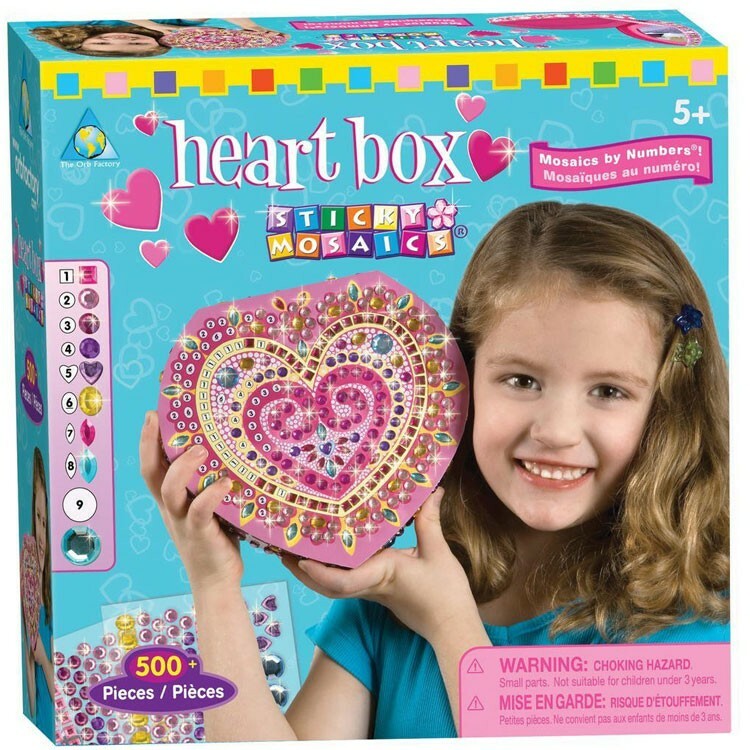 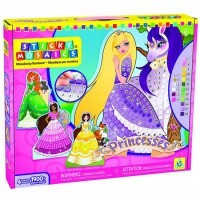 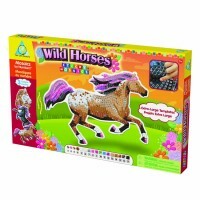 From Educational Toys Planet, Heart Box Sticky Mosaics Craft Kit is a great art project for any day! 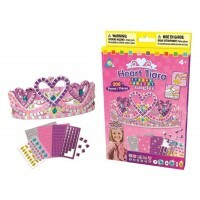 Dimensions of package 0.08" x 0.09" x 0.03"
Write your own review of Heart Box Sticky Mosaics Craft Kit. 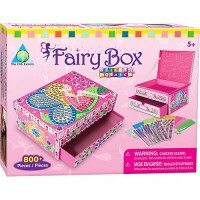 Rating: 5 by Louis, DC Each of my girls received one of the sticky mosaic jewelry boxes. 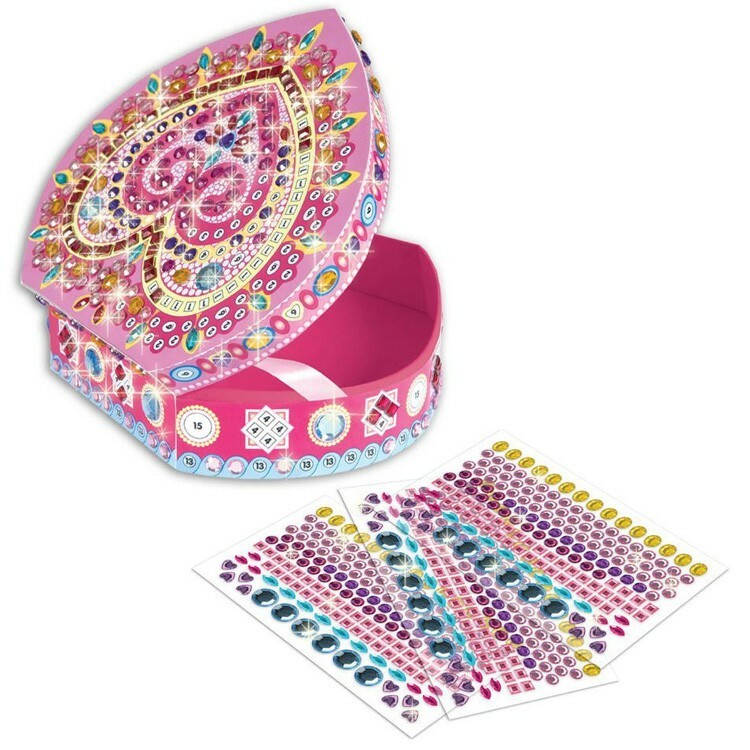 They loved both of them. 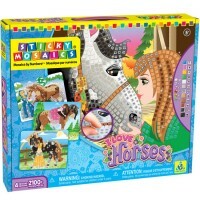 Very nice Xmas gift. 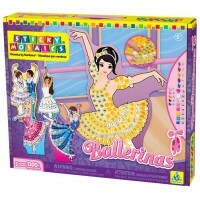 i was really glad to buy it.